Idaho Democrat Vies To Be First Native Governor. 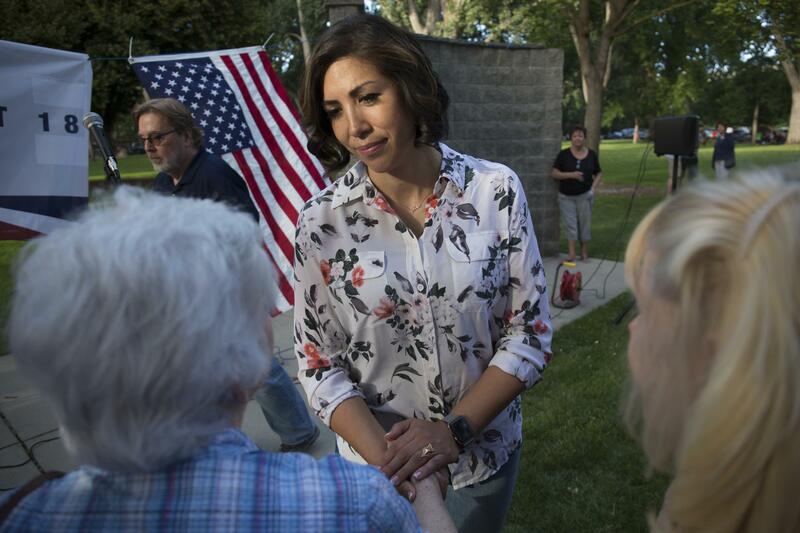 Does Paulette Jordan Stand A Chance? It's a longshot, but if Democratic candidate Paulette Jordan wins the Idaho governor's seat, she'd become the nation's first native american governor. 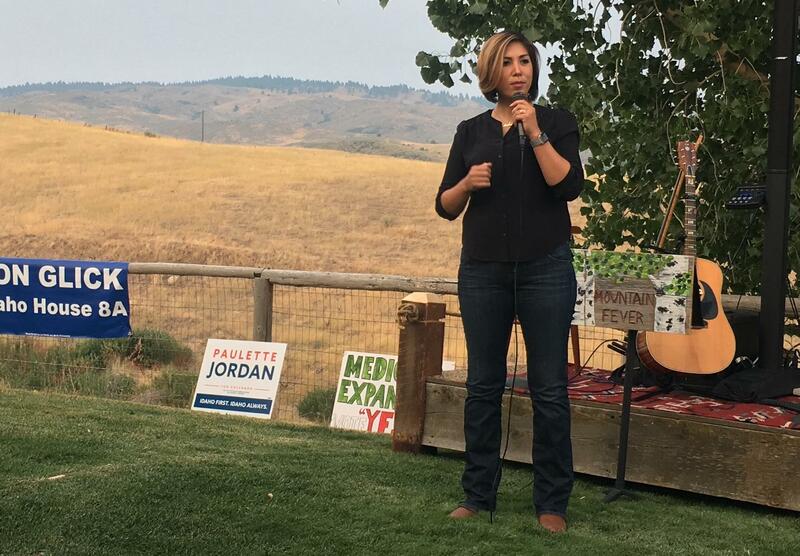 When Idaho's Democratic candidate for governor Paulette Jordan took to the microphone at a recent campaign party, she immediately launched into a story. "When I was a kid growing up with my grandparents I would often wake up before the sun rose, and I would always see my grandfather ... and he would just be watering the plants and he would be look overlooking our farmland," says Jordan. It’s a personal and intimate approach that comes naturally to Jordan. The small backyard crowd leans in and listens carefully. It’s a long shot, but Jordan could become Idaho's first female governor and the country’s first Native American if she beats Republican challenger Brad Little. Idaho is one of the reddest states in the country, with registered Republicans outnumbering Democrats about four to one. Jordan is a 38-year-old mom and former council member within the Coeur d’Alene Tribe in Northern Idaho. She served as a representative in the state legislature before announcing her historic bid for governor. Although her bills didn't get much traction with other statehouse lawmakers, she says she helped elevate the voices of women, minorities, and conservationists during her tenure. She says she wants to represent underheard voices in the state. "These people, all across the board, they need to have a seat at the table," says Jordan. Jordan supports a number of issues favored by liberals and Democrats in this state: Medicaid expansion, more funding for education, universal health care. She also stands out on some issues: she's an advocate for Second Amendment rights, and unlike even the most prominent of Democratic candidates in this state, she vocally supports removal of the four lower Snake River dams in Eastern Washington as a means to restore Idaho salmon. But it’s not so much the issues as her general persona that seems to be exciting young voters, women and minorities. "We’re just ready. It’s well overdue for true representation of the people to be leading in this state office," says Jordan. Jordan: "We Are Running For Governor"
Notice how Jordan talks in terms of “we” and “the people”? "When she says 'we,' everybody can say 'yeah, that’s me too,'” says, Jasper LiCalzi, chair of the political economy department at the College of Idaho. He says that’s her way of captivating audiences. But LiCalzi doesn’t see a lot of specificity in her policy proposals. "For some people she’s the progressive Bernie type, whereas [for] others she’s the woman who’s running and they identify with that, others she’s a minority." Regardless, Jordan is attracting followers from unusual corners of Idaho. Marc Johnson is a former aide to Idaho’s last Democratic governor, Cecil Andrus, and a political columnist for the Lewiston-Tribune. Johnson says Jordan has a lot going for her. "She’s a fresh face, she has a certain political resume," says Johnson. "She certainly appears to have the makings of an ability to bring new people into the political system, all of which are attributes which any potentially successful Democratic candidate in Idaho would want." "She’s the most amazing person I know," says Troy Hank Palmer, who went to high school with Jordan and is now volunteering for her campaign. He says as a teenager, Jordan was fierce at basketball, serious about school, and a good listener. "Instead of going out and doing fun stuff with some of us, you know she would actually be with her elders," Palmer says. "She would be talking with them, and would always choose that. I think that’s part of why she’s such a wise soul." Jordan often references her elders affectionately at campaign events, and tells stories about how a circle of blood relatives and adopted uncles and aunts helped raise her. Dave Matheson, a vice chairman for the Coeur d'Alene Tribe, was a mentor to Jordan growing up. He taught her how to ride horses, and says even in elementary school, Jordan asked big questions. He cheered Jordan on at basketball games and encouraged her as she became a tribal leader. He says on tribal council Jordan had a tendency to push. He sees that as a positive attribute, but Jordan’s sense of urgency didn’t always sit well with other tribal leaders, says Matheson. 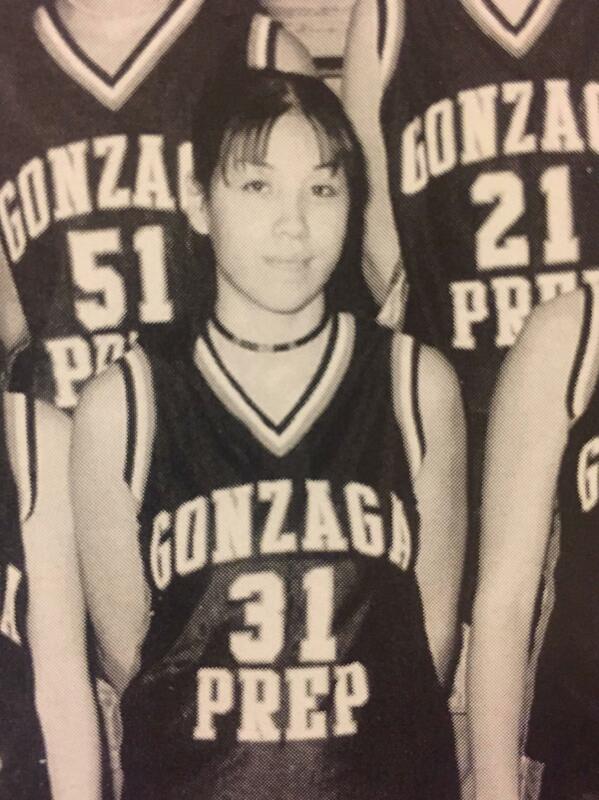 Paulette Jordan during high school in Spokane, WA. Jordan's supporters appreciate how she seems to really listen. At a recent gathering at a rural ranch one voter approached Jordan to bend her ear about his passion: fracking. “And you heard from me a bunch of times because I was writing to a bunch of people in the legislature about oil and gas,” he says. He talks to Jordan for about ten minutes, even as a line of other people eager to meet her crowds around. Jordan doesn’t brush the talker off. She listens, intently, taking his card and promising to follow-up. This willingness to take her time with supporters has led to some criticism — namely, that she’s chronically late. But Jordan has an answer for that. "My grandparents raised me the very best way to be respectful. Which is why I take the time to listen to every single constituent at every single one of these events," Jordan says. "So yeah, we’re gonna be late — because there’s going to be over 100 [or] 200 [or] 300 people at every event, and we're going to talk to everybody." Tardiness isn’t the only criticism she’s dealing with. Her campaign’s protocol of asking staff to sign non-disclosure agreements became a huge controversy in recent weeks. At the same time there were some staff resignations and soon after that, the Idaho Statesman reported that her campaign had questionable links to a tribal super PAC. Her staff declined to comment on whether her campaign still requires NDAs of staffers. "All of that just make for distractions that I think really dilute the focus and have unfortunately have contributed to an image whether it’s real or not, contributed to an image of turmoil — and frankly incompetence, in the campaign," says Marc Johnson. Not fair, says Jordan. She sees another reason for all the criticism. "You tend to get the hard brunt of everything because you’re a woman, especially when you’re the first — or when you’re a person of color, or when you’re from rural or when you’re this or that," says Jordan, speaking before the news of the latest resignations. Paulette Jordan talks about growing up near farmland and being inspired by her elders at a recent campaign gathering. Now, she says she’s ignoring the negativity and just focusing on meeting voters one person at a time. But even if she shakes hands with every single Democrat in Idaho, Jasper LiCalzi says a Jordan victory would be tough. Even in a year where national Democrats hope to see a blue wave of elected officials. "That blue wave, it crashes at the red shore of Idaho and that’s where it ends." Democratic gubernatorial candidate Paulette Jordan has lost another two key members of her campaign team just two months before the election. 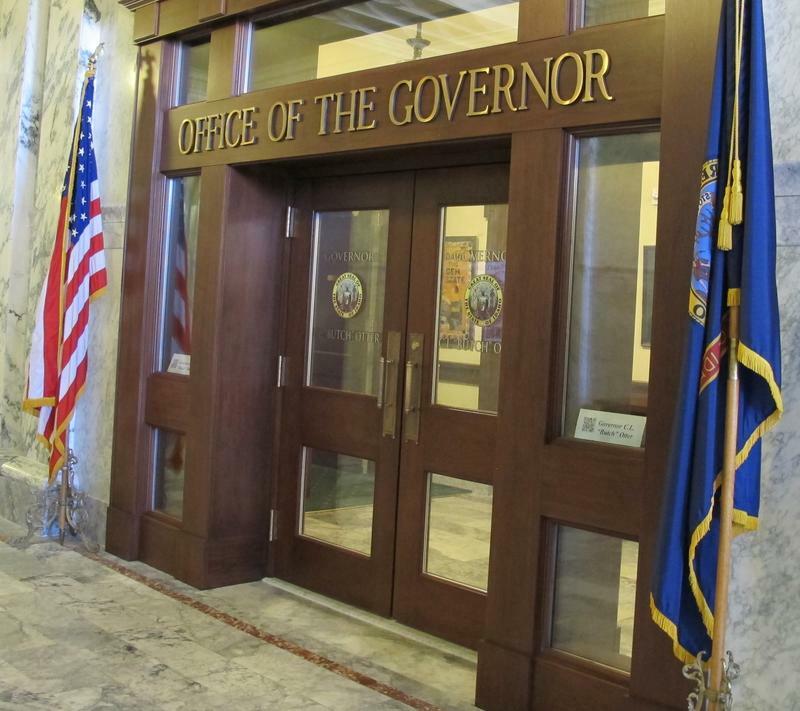 New polling looking at the race for Idaho governor is out. The numbers show slight changes and come from a recently formed political action committee. Will Idaho Ride The Blue Wave? Boise-based political analyst Justin Vaughn discusses Democratic candidates in the upcoming election with Idaho Matters on Thursday, August 16, 2018. Democratic voter registration numbers are up in the Gem State, but will it reflect in the November election? Political analyst Justin Vaughn looks at state and national trends ahead of the mid-term elections.